You survived breast cancer with one or both breasts intact, and now you want to put it all behind you and get on with your life. Who could blame you? It’s tempting to pretend it never happened…and just hope it never happens again. Don’t do that. There is a proven step you can take to vastly decrease the chance that a cancer recurrence will sneak up on you and go unnoticed while it is most treatable. Unfortunately, a surprising number of breast cancer survivors are skipping this potentially lifesaving step. What is this step? Nothing exotic—it’s just annual screening with mammography (a breast X-ray). How many women are skipping this step? That’s what researchers at the Mayo Clinic just found out with their latest study. The study: Mayo researchers followed 27,212 women for close to three years after surgery to remove one breast with cancer, and about 4,700 of these women were followed for at least five years. While 87% had a breast cancer screening test in the year following their surgery, 13% did not…and by the fifth year, 19% of the women were skipping annual screening. And all of these women would have had their screenings covered mostly or entirely by insurance or Medicare! Why aren’t more breast cancer survivors getting mammograms? Fear, confusion about guidelines, the desire to keep cancer in the past, as well as cost and time constraints likely play a role, said study author Kathryn J. Ruddy, MD, MPH, coleader of the Mayo Clinic Cancer Center Symptom Control/Survivorship Cross-Disciplinary Group. There are more than 3.5 million breast cancer survivors in the US, and for many, yearly mammograms can save their lives. The recommendations from the American Cancer Society are clear: Women who have had a single mastectomy or a lumpectomy need at least annual mammograms of the remaining breast tissue (your doctor may suggest more frequent testing based on your unique situation). An MRI may be recommended after breast cancer if you have a genetic mutation such as BRCA. Women who have had both breasts removed do not need any routine breast imaging, but they should have at least annual physical exams that look for signs of breast cancer in their chest walls. Some breast tissue may remain in the chest wall even after a double mastectomy, and breast cancers may develop in this tissue. You’re pressed for time. Yes, you’re busy. But are you so busy that you should be risking your life? Missed mammograms can allow cancers to grow and spread unchecked before they’re ultimately found, reducing the chance that a cancer recurrence can be cured. Make the decision to put your health at the top of your priority list, and schedule and keep your follow-up appointments. You’re anxious. It’s understandable that getting a mammogram makes you feel nervous, especially if you’re at high risk for a breast cancer recurrence. Asking a loved one to go with you to your mammogram and making plans for a fun activity before or after it may alleviate some of your stress. 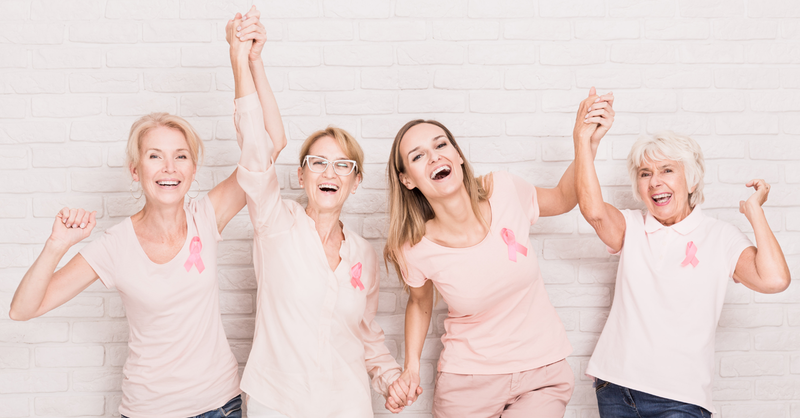 If the worry is overpowering, seeing a counselor or joining a breast cancer survivor support group can help you find coping strategies to reduce the anxiety. Ask your oncologist for a referral or advice. You aren’t sure of your follow-up steps. Your oncologist most likely discussed future screenings with you back when your breast cancer treatment ended, but it’s understandable that you might not have absorbed everything said at that time. So contact your oncologist’s office now and ask what, exactly, you should be doing to protect yourself from now on. Be sure to ask specifically about screenings. You’re facing other hurdles to testing. All of the women in the Mayo Clinic study had health insurance, but even if mammography is covered by insurance, out-of-pocket costs may prevent some women from getting a mammogram. Taking time off from work and finding transportation to a screening center are also deterrents. Let your doctor know if you’re facing any of these issues…he/she may know of state or local programs to help you with co-pays and getting to your screenings. Talk to your employer about the importance of continued testing and your need to take time off for it. You’re likely to find support from family, friends and coworkers to help you get needed ongoing care.